its dazzling song and blinding dance? capture shadows and win time? 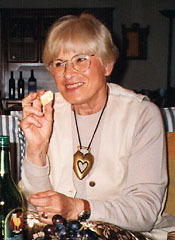 Eva Fuka was born and raised in Prague, Czechoslovakia. The castle in this picture can be seen from most points in the city of Prague, and if you have ever been there you would probably recognize it as the Prague Castle. The river in the photograph runs right through the center of Prague. 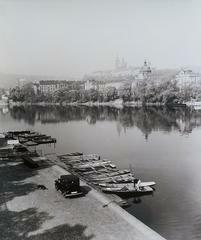 Christian Peterson, Associate Curator of Photography at The Minneapolis Institute of Arts, chose this photograph because it is a document of Prague and there are few photographs of Czechoslovakia in the museums collection. 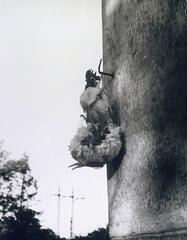 Peterson thought that this photo would help visitors understand Fukas other work in the collection. is the place where I was born. mysterious and full of contradictions. the first robot Golem was born. It is a city which influenced me deeply and forever. Why did I choose a camera as an instrument of expression? contrast, and the absurdity of life. otherwise doomed to be lost. The cobblestones in this picture are a clue to its location. Prague, Czechoslovakia, where Eva Fuka lived and worked when she took this picture, is famous for its cobblestoned streets. Fuka waited to snap the photograph until the woman with the baby carriage was in a position to make the most of the deep space in the scene. Click on the deep space diagram bar above to see it. The light that creates all the atmosphere in this picture is a difficult effect to achieve. When a light source like the sun shines directly into the lens of a camera it creates exposure problems for the photographer. If Fuka had set her camera to expose for the amount of light coming from the sky, the buildings in the picture would be too dark and all of their detail would be lost. 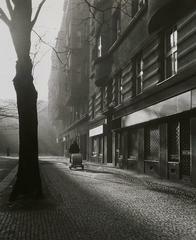 If Fuka set her camera to expose the buildings details, the beautiful atmospheric effects of the light might be lost. The solution? Position the camera so the light source is hidden behind a tree, reducing the amount of light shining into the camera. Reducing the amount of light allowed Fuka to expose the film at the setting that produced details in the shadowy buildings and plenty of atmosphere. What Makes This Photograph Surreal? From Chipp, The Theories of Modern Art, 1968. Surreal effects are often present in photos Eva Fuka made during her early years in Prague. 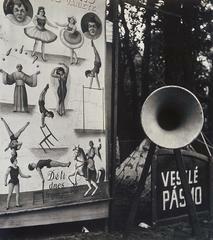 Lost Entertainers is a great example of Surrealist ideas. Surrealism is all about the subconscious, the subconscious as in dreams. You know those dreams where you are in one place, and then suddenly it turns into another place, but it doesnt seem strange to you while youre dreaming? Thats surreal. So what is it exactly about this photograph that is surreal? Click on the diagram bar above to find out. The poetry of every day life and the extraordinariness of the ordinary are illustrated here. I love Surrealism. I really do. I like the absurd view and Surrealism is most close to it to combine things which dont really go together but yet somehow do anyway because that is the way life is  absolutely absurd. Strange and uncertain space was a device used by many Surrealists to represent those other relations beside reality. Look at the looming shadow on the building behind the dancing child. Is it a shadow of the statue in the foreground or something outside of the frame of the picture? 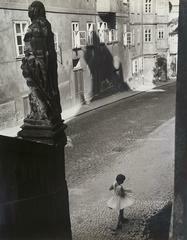 The relationship between the shrouded old statue and the lively young girl creates a strange mood. 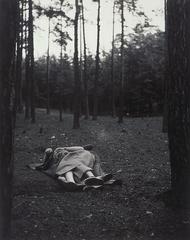 Although they are facing away from each other, they are very much together in the space of the photograph. Does the statue threaten the child or offer some kind of protection? These visual mysteries, presenting themselves in everyday life and turning the ordinary into the extraordinary, were themes that fascinated Eva Fuka. "If you want me to explain the picture, if you put it in reality, then the mystery goes away." I was thinking of the word Surrealistic . . . I dont think it should be used exclusively with my photographs. The meaning is close but I think my tendencies are more toward the whimsical or absurd. Surrealism is more connected with morbidity. From that I am very far away. What is happening in this photograph? Such an air of mystery surrounds these figures that we assume something has just happened, and we have happened upon the aftermath of the odd event. The tree at each vertical edge of the photo lends a feeling of peeking through the trees. We are witnesses to, not participants in the scene. The title only muddies the water - how can the three be alone when they are so together? The true content of a photograph is invisible, for it derives from a play, not with form, but with time. One might argue that photography is as close to music as to painting. . . a photograph bears witness to a human choice being exercised. This choice is not between photographing x and y: but between photographing at x moment or at y moment. 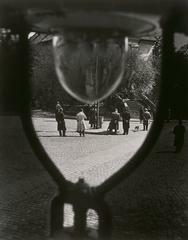 Taking a picture of people through a gas lamp wouldnt occur to a lot of photographers, but Fuka saw the lamps potential as a container for the people on the street. It looks like an hourglass, and since the people appear to be waiting for something the two ideas work together. A photograph represents a moment in time, adding yet another layer of meaning. Eva Fuka used darkroom special effects to create this picture. The entire photograph was printed at the correct exposure, then Fuka burned in the area outside of the gas lamp to darken it by adding light to the print in the darkroom. Burning and dodging (holding back light from a print) are techniques many photographers use to give different parts of prints different exposures in the darkroom. Fuka took the technique a step further to create an unnatural scene that comments on time. People ask me who was your idol, who do you copy or was your influence and I never was influenced. I was just doing my own work and didnt look right or left. That is why I became more original than others, thats what I think!